Martin Gusy is a partner in K&L Gates LLP’s New York office and heads the firm’s U.S. international arbitration practice. He has more than 15 years of international dispute resolution, litigation and corporate experience. Martin focuses on international arbitration and complex cross-border litigation involving private parties and sovereigns both as counsel and as an arbitrator covering matters in Africa, Asia, Australia, Europe, North and South America. 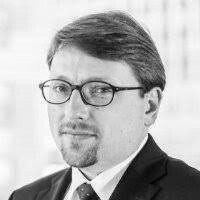 Ranked in Chambers Global for his international arbitration expertise, he is civil/common law dual-licensed and his working languages include English, German, Spanish and French.